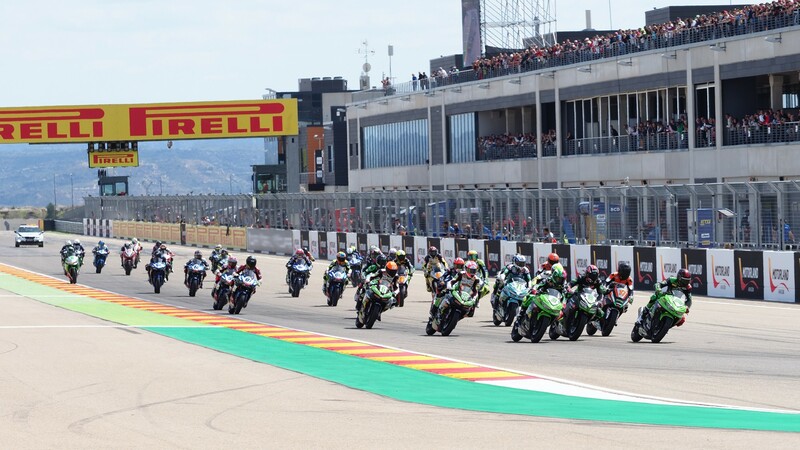 The main changes concerned the 2019 FIM Supersport 300 World Championship rules. The goal of the balancing solution was not to reduce all the machines to the level of the slowest but to work to balance around the middle performing bikes. The Kawasaki Ninja 400 will have an inlet restrictor fitted to lower the power output of the 399cc machine. The combined rider/machine weights will differ slightly to account for the different torque levels of the very different machines. The World Supersport 300 category is the place to discover the newest rider talent and thanks to the cooperation and understanding of the manufacturers in working together with the FIM and Dorna, it is a category where the outright performance of the machines is not the primary goal. The updated Regulations applicable as from the next event in MotorLand Aragón can be downloaded on HERE.